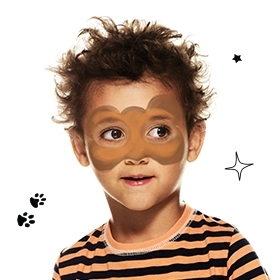 Choose two varying shades of brown face paint, one light and one darker. Use the darker shade to create a cloud-like shape around the eye and temple area with a sponge or brush. Then, dab the lighter shade over the darker brown, following the general shape. 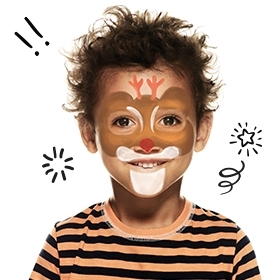 Using a fine point brush and black face paint, outline the antlers and the perimeter of the face. 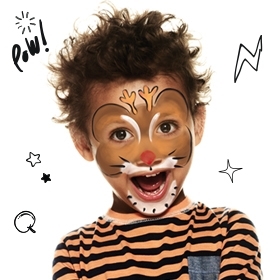 Add whisker details for extra flair and fun!